No matter what happens with Brexit. Estonia is a digital nation because almost anything can be done online here with minimal hassle using an Estonian digital ID card (like the one above). This includes the ability to run a trusted EU company from anywhere on Earth with literally no paperwork ever required. It’s not just citizens and residents who have these advantages though. 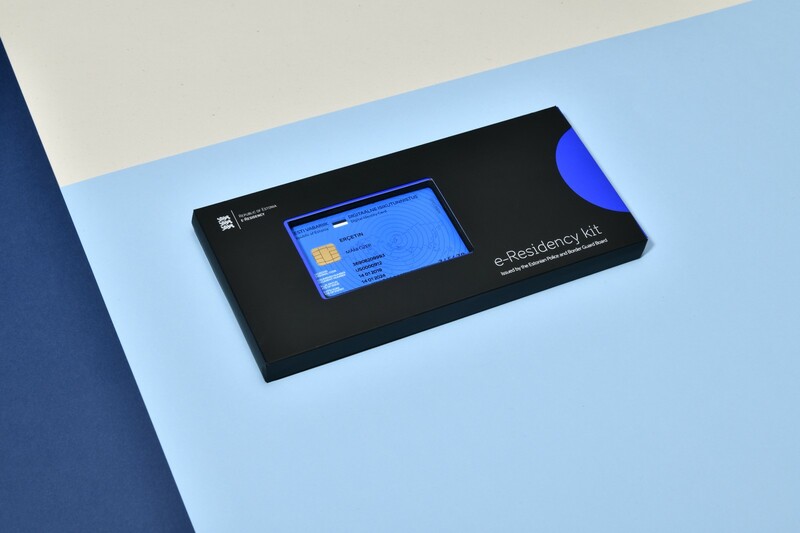 Four years ago, Estonia launched e-Residency so that anyone else in the world can apply for an Estonian digital ID card and access our e-services. It comes in a box like this below, which contains a set of PINs and a USB reader to plug it into your computer. E-Residency can be very useful for entrepreneurs if, for example, they want to operate inside the EU market and conduct business with greater ease around the world. We can’t predict what’s going to happen next with Brexit, but one thing is already clear to us in Estonia. UK-based entrepreneurs will always be welcome to conduct business globally through Estonia, regardless of what kind of arrangement is agreed between the UK and the EU. 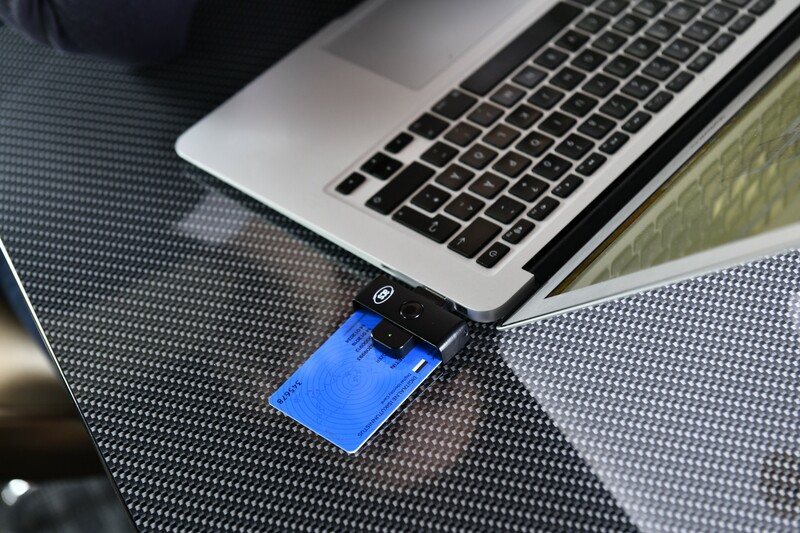 E-Residency is a new concept, but the digital ID card technology has been in use since 2002 and Estonia has always valued its international friendships going back to the very birth of the Republic 101 years ago. That’s when Estonians first reached out to the UK and began a close friendship that will continue long after Brexit. Estonia’s business environment isn’t just special for e-residents because it’s in the EU or because it’s entirely online though. It’s also transparent and trusted, as well as low hassle and low cost. Take a look, for example, at the costs of business services like accounting offered by companies in the e-Residency marketplace here. That’s why we think the benefits of e-Residency are bigger than mitigating Brexit. 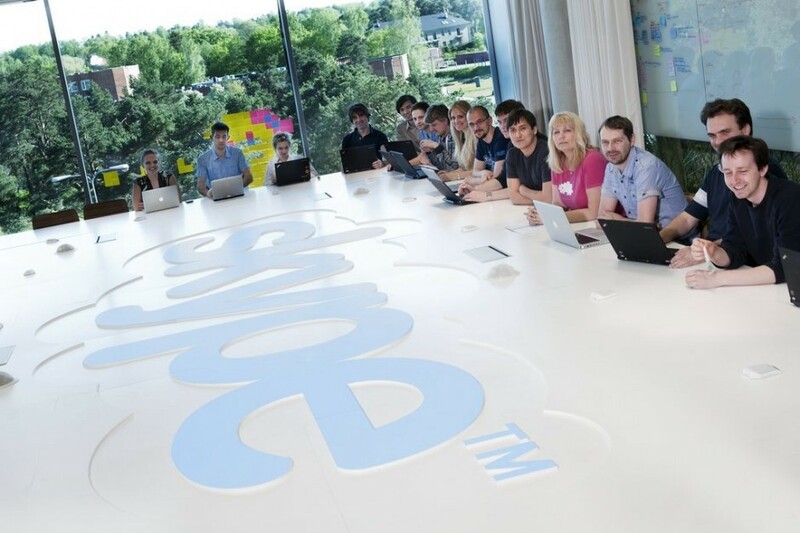 Estonia’s business environment has already been used by an incredible range of world famous innovators that you might have used in the UK without ever realising they were born in Estonia, like: Skype, TransferWise, Taxify, Starship Technologies, Toggl, Pipedrive and many others. After applying online here and paying €100, you’ll undergo background checks with the Estonian Police and Border Guard then, if successful, your new digital ID card will be issued to you at the Estonian Embassy in London (or another pickup location of your choice). So far, 2,651 people in the UK have applied for e-Residency and they’ve already established more than 300 new EU companies as a result. If you’ve been trying to understand Brexit online lately, you may have come across a YouTube channel called TL:DR News. They currently specialise in animation videos that explain complex topics in an easily understandable way. 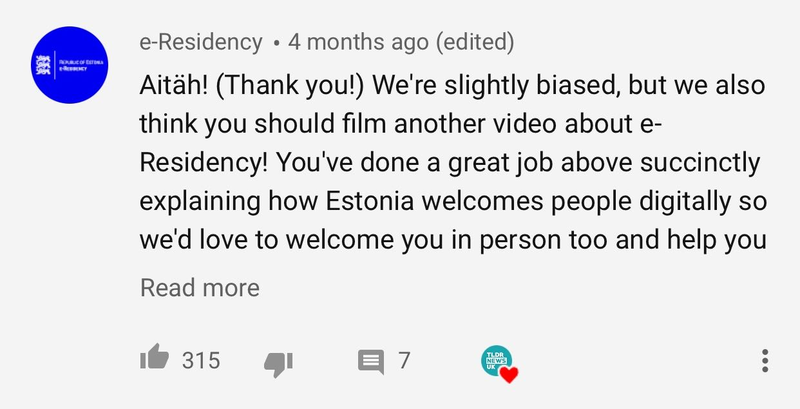 They took us up on the offer, applied for e-Residency themselves and then flew over from the UK to film their first non-animation video in order to take an even deeper look into how e-Residency works. If you still have questions about using e-Residency in the UK then don’t worry. We’ve arranged a special webinar at 9am on Friday 29 March 2019 — which is the day that the UK is scheduled to end its membership of the European Union. Some people will benefit from e-Residency more than others, such as people selling services online with no fixed location offline, so we’re happy to discuss the pros and cons, as well as answer any of your questions. Sign up to our webinar here on Zoom and show your friends you are attending by clicking ‘going’ here on Facebook.